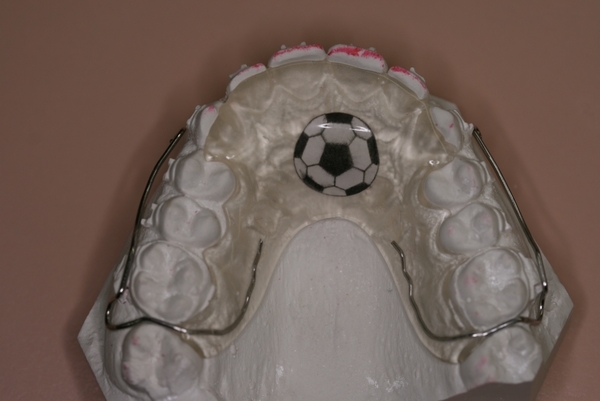 A biteshelf is removable like a retainer and is used to provide a temporary biting surface until a deep overbite or crossbite is corrected. 1 Initially, the biteshelf should always be in your mouth including meal-time and during sleep. • Rinse thoroughly with cool water. • Than carefully replace the biteshelf into position. 3 Avoid flipping or playing with the biteshelf with your tongue. This annoys others and will quickly distort or break your biteshelf. 4 The safest place for your biteshelf is in your mouth. Don't wrap it in a paper napkin or tissue. It may get thrown out. Don't put it in your pocket. You may break it or it may end up in the laundry and heat distorts the biteshelf. Don't just put it down. Even your dresser or in the washroom is not safe. Remember, it can get thrown out by mistake and dogs love the smell and taste of it. Don't put your biteshelf in hot water if it is dropped in an unsanitary place. It will warp. Wash it with soap and cool water. • Eating will be difficult at first since your back teeth do not touch. Be patient and eat soft foods and in a few days your teeth will get closer together and you will be able to chew harder things. • The plastic taste, sometimes noticed with a new biteshelf, disappears in a day. • With the biteshelf in place, your speech might be affected until you get used to it. Reading aloud to yourself can help you become more quickly accustomed to its presence.